Austin, Texas. You’ve probably heard a lot about us lately. Seems we’ve been making the news…and in a good way! Universally known as the “Live Music Capital of the World,” Austin holds live music events pretty much anywhere you can fit. Be it on downtown’s lively 6th Street District, to Austin City Limits or over at The Long Center, Austin’s music scene is unrivaled. Austin’s unofficial motto is “Keep Austin Weird,” which means “We’re not just an ordinary town…we’re different!” and different, for sure. Come celebrate “Eeyore’s Birthday Party” with us or take in Austin’s famous “Bat Bridge” where thousands of bats take flight each evening and return each morn. Yes, Austin is a little different, but when adding a laid-back college town, a diverse culture and rich heritage you get ideas from all walks of life. But Austin’s not just about fun…we mean business, too! Dell, IBM, Samsung, AMD, Freescale, National Instruments are all major employers in the Austin area. Austin is also the home to the University of Texas providing local employers with an educated workforce year after year and the State Capital is located in Austin as well. Historically in cities where there is an abundance of high-tech and government jobs those cities are victims of boom and bust cycles and housing affordability is a frequent problem. Not so Austin. While the quality of living is high in Austin, the median price for an existing single-family home in 2010 was $182,000 and Austin is consistently rated one of the best in the Cost of Living Index published by the Council for Community & Economic Research. Do you enjoy the outdoors? We love the outdoors! Austin rests on the banks of Lady Bird Lake, has more than 251 parks, 15 preserves, and 40 greenbelts all on 19,000 acres. Nearby Lake Travis is home to every sort of water sport available and covers 270 miles of shoreline. 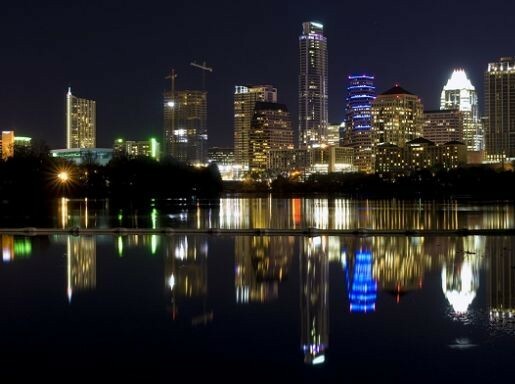 Austin has increasingly become the #1 destination city in the country. A thriving economy and a neighborly community all come to form what we call home…Austin, Texas.